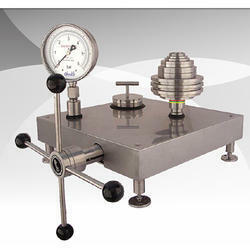 Offering you a complete choice of products which include comparison tester act and dead weight tester adw. 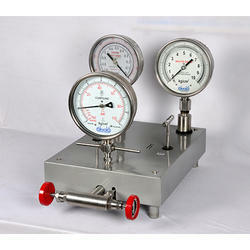 Our esteemed clients can avail from us a wide range of Dead Weight Tester ADW. Globally acclaimed by our valued clients, this offered range is manufactured using high grade raw material. Manufactured as par the industry set quality parameters, all these products are widely used for pressure range calibration used as a calibration machine. We offer this range of the products available in varied specifications and also in custom-designed models to meet the variegated requirements of our clients.